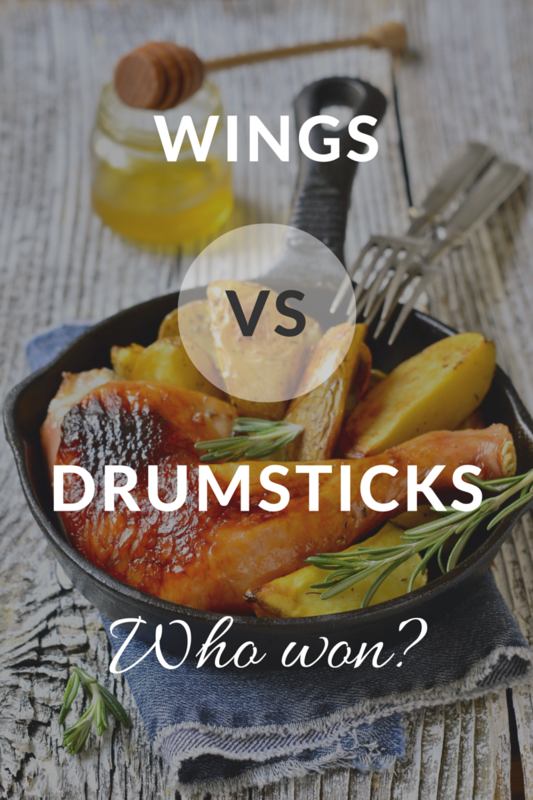 Chicken Wings VS Drumsticks – Who WON??? Ooh we love a good question! The next day, the Husband went out bright and early to the local farmers’ market and bought home the freshest ingredients. He then spent the rest of the day in the kitchen, cooking the very same meal he’d cooked for his soon-to-be-ex-wife when he’d proposed to her. Honey-glazed roast chicken, rosemary potatoes, and olive-oil Brussels sprouts. The whole house was filled with delicious aromas of the Husband’s cooking as he set the dining table, placed a vase of fresh flowers, and lit the candles. Dinner’s ready. “Thank you for joining me. Thank you for saying yes to me 50 years ago. And thank you for saying yes to this parting meal.” Husband said to Wife, as he carefully carved out the chicken drumsticks and placed it on her beautifully plated meal. He gave her the best parts of the chicken – moist, tender, juicy meat; and served himself only the wings. He gave her the cooked just right potatoes and brussel sprouts, and served himself the ones that were charred and burnt and broken. Flabbergasted, the Husband tried to wipe her tears off with his napkin and comfort her. By the time we reach to this part of the story, our listeners are either in tears or laughter, or both. Sometimes, a deafening silence ensues. But this story has come to be a signature code in our lives. Are you loving me at the expense of yourself – giving me the nice potatoes and Brussels sprouts and keeping the trashy ones to yourself? I don’t trust this love because it’s not sustainable. I can’t love someone who doesn’t love herself. Are you asking me to stop crying, whining, ranting, complaining by giving me solutions and telling me what to do? Stop. Because what I really want is just your shoulder to cry on, your ears to pour my grievances into, your heart to bear witness to the suffering of my heart, and your shirt sleeve to wipe my snort on. What trashy parts have I been keeping to myself, that is coming out in this fight right now? What is the most loving thing to do for myself, first? Have I offered my napkin for her to wipe her tears and blow her nose, so that she can breathe, see, and think clearly, before I even offer a single word or advice or solution? Who would have guessed? That a story of an old couple and their fight between chicken wings VS drumsticks would save us from each other and from ourselves – countless times on this shared journey together. On this note, of course we fight! We’re humans and we have our emotional triggers, perspective biases, and default reactions, too. In fact, we’ve gotten so good in our fights, we’re including a segment about building loving relationships through fighting your chicken wings against the drumsticks of others in our upcoming love retreat! What do you do when you find yourself in a fight – with your partners (in life and/or business), with your friends and family, with your various “selves”? What’s your habitual reaction? Do you have a signature code or mantra that anchors you back to your heart-center? What other tools do you have to mitigate disagreements? We’d love to hear from you. Leave us a comment below. P.S. 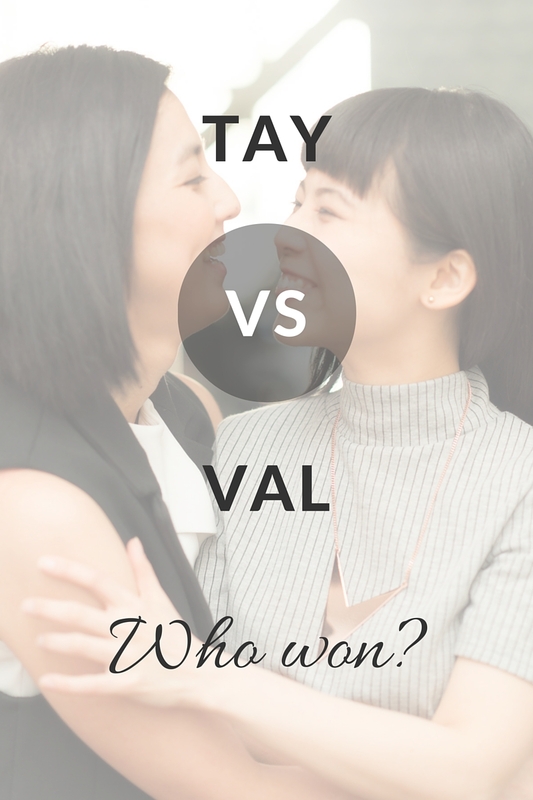 And just in case you really wanna know who wins in a fight between Tay and Val, I really wanna say me 😛 But the truth is here.